En briljant Trine Dyrholm använder hela sitt register när May El-Toukhy utforskar lustens gränser och lögnens destruktiva kraft. Anne (Dyrholm) driver en framgångsrik advokatfirma som specialiserat sig på barn och ungdomar. Hon och hennes man Peter (Magnus Krepper) lever ett liv där deras lyckade karriärer samsas med tvillingarnas ridlektioner och sköna stunder i familjens enorma designhus i en lummig Köpenhamnsförort. Den på ytan perfekta fasaden krackelerar när Gustav, Peters tonårsson från ett tidigare förhållande, dyker upp. Peter har svårt att komma nära sin förlorade son, men Anne hittar ett sätt att få kontakt. I den varma sommaren utvecklas Anne och Gustavs relation mot något allt mer förbjudet som kan äventyra allt. 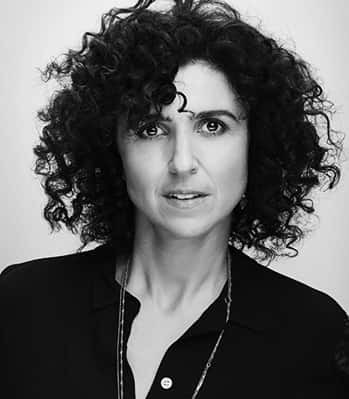 May el-Toukhy (1977) has a production degree The Danish National School of Performing Arts (2002), as well as a degree from The National Film School of Denmark (2009). May has directed several TV series at The Danish National Broadcasting Corporation (DR) and her critically acclaimed feature film debut LONG STORY SHORT premiered 2015 and received among other national awards a Bodil for best script and best female lead. Queen of Hearts is the story of a tragic fall from grace. I’ve made many mistakes in my life. I’ve made bad decisions, faltered when it mattered, and shown poor judgment over and over again. Some of the missteps can be overlooked and boxed away. Some have had painful consequences for others, and myself, and the ensuing shame and guilt of harming others has created a burden I have to carry: A burden which continues to shape me for better and for worse. That’s how it is for most people: our flaws and insufficiencies define us. They help us grow if we have the capacity to admit our errors, but if we are not capable of doing so they can taint and shatter us, and eventually create great inner loneliness. In Queen of Hearts, a powerful woman makes a series of irreversible decisions that have unimaginable consequences for her and the people she holds dear. The film explores how far we are willing to go, once those choices are made, to protect ourselves and maintain the status quo in our existence. Power is a strong overall theme. The power structures of families often convey truths about power structures in general; the apparent yet often invisible power hierarchy in families fascinates me because it is seldom spoken about, yet lived almost by primal instinct. With this story, I want to explore the sense of entitlement that comes with being in power and what can happen when we do not take the responsibility that comes with authority seriously, whether it being in our private or professional lives. We have a tendency in the world of fiction to tell stories about the idea that there is something good in the evil, but we seldom tell stories about the evil in the good, even though it also contains eternal truths about human behavior. It’s my ambition to address this schism and at the same time aim towards telling a story where spectators are confronted with their own beliefs and are encouraged to take a stand as the story plays out. I hope to empower the story to force questions not necessarily provide answers.